Shireburn Software has today announced the appointment of Nathan Farrugia as its new CEO. John de Giorgio, the founder of Shireburn, will take on the role of Chairman and will continue to hold a strategic and advisory position within the Group, while Director Franco Galea will continue to execute his current role as Operations Director. Other appointments have been made to further strengthen management including Christian Agius as Head of Technology, Charles Mifsud as Head of Products, Kenneth Agius as Head of Financial and Adam Buttigieg as Head of Customer Services. Nathan has already been working with the senior management team for the last 18 months as a business coach. These enhancements all form part of Shireburn’s management succession plan and ensure business continuity for all its customers, both locally and overseas, and its staff. This decision also strengthens the foundation of the company for further growth locally and internationally. 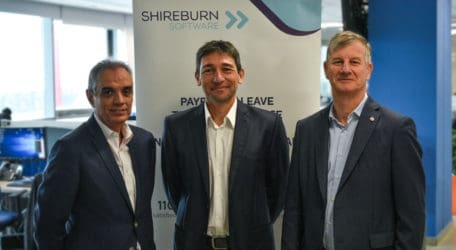 Earlier this year, Shireburn announced its investment in UP Limited, the leading business coaching and executive development company led by Nathan Farrugia, whose previous role as CEO at UP is being filled by Julian Azzopardi, former head of JAYE Malta, a non-profit education institution specialising in providing entrepreneurship education programmes to young people. The UP team was also further strengthened earlier this year with the addition of Desiree Perez Ross as Head Coach. Nathan will continue to chair the Vistage Malta CEO groups and support some of the key clients on their ongoing programmes, whilst supporting the team with their own development. “This is a gradual and planned transition which guarantees peace of mind to Shireburn clients knowing the team that they have worked with for many years are more than well equipped to continue what we created together over the past 35 years” said John de Giorgio.